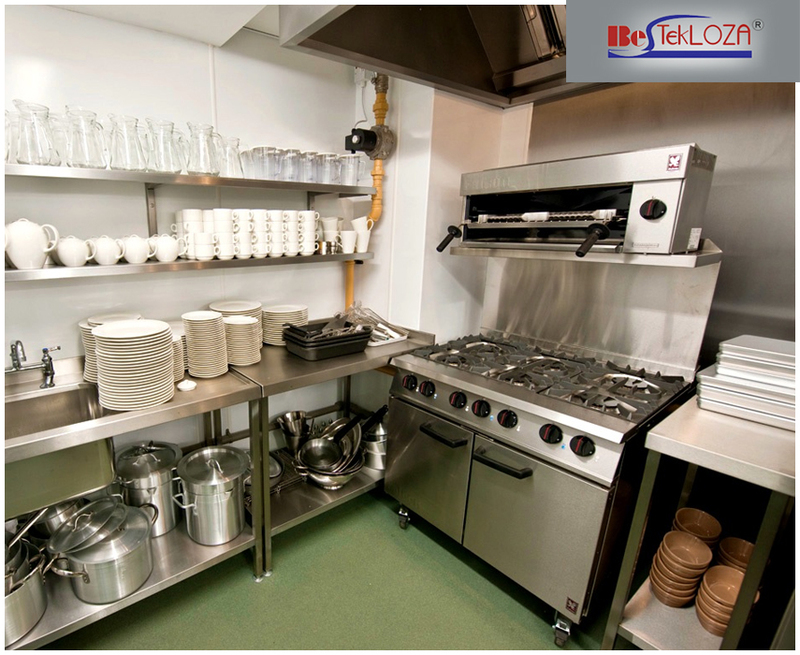 Different equipments are used for different purposes in a Commercial Kitchen. Ovens, ranges, refrigerators, Fryers, grillers, etc. are the most common ones. The equipments that are used in a Commercial Kitchen are thought of as capable of high-volume use. However, commercial kitchen production may come to a halt if any of the equipments stops functioning or shuts down unexpectedly. In order to avoid the malfunctioning and to keep on operating the equipments smoothly, proper maintenance and care is essential. Drain the Dishwashers Daily after Usage:- Water must be drained out from the dishwashing units at the end of the day. Clean and fresh water is needed to sanitize the dishes when these are washed. Schedule a normal de-scaling or de-liming cycle for maintaining the best performance. Keep the Range Neat and Tidy:- When the meal service is complete, just turn off the range and cool it. Then remove the grates and plunge in warm soapy water. Brush away the larger food particles and then wipe down the surface of the range. Upholding clean grates help to optimize cooking and prevent the particles from catching fire. Keep the Fryers Unblemished:- Grillers and Fryers are used for preparing most of the dishes. These equipments must be cleaned by taking out the baskets and cleaning these at the end of the day. Plan a boil out of the whole unit on quarterly basis to eradicate the buildup and the stuck debris. Inspect the Refrigerator Seals:- Check the closures on the doors of the refrigerators for ensuring a proper seal. This will help in maintaining the right temperature inside the refrigerator. The consistent temperature inside the refrigerator unit reduces the risk of altering the flavors of the ingredients of the dishes or spoiling the food. Do Not Forget to Keep the Spares:- Have spare parts of every equipment as standby for quick replacement whenever required to avoid the equipments such as ovens, from becoming fully inoperable. If any of the staffs working in the kitchen are facing any problem while handling or operating the equipments just consult anyone there or check out the manual of the equipment. Most of the industrial kitchen appliances are made up of stainless steel. Checking out the steps to clean these can be helpful. The reputed commercial kitchen equipment manufacturers are the helpful and insightful resources for providing the right cleaning and maintenances tips. The top manufacturing firm provides the restaurants in the city with the complete range of buffet essentials, tabletop collections, and quality commercial kitchen products. With years of industrial experience, the services are profit-driven, thus, sourcing the premium quality products to meet the requirements of every modern commercial kitchen. Cost-effective yet superlative quality commercial kitchen solutions are offered. Bring ingenuity and excellence to the cooking and the serving table everyday with these super classy and premium quality equipments.